Dr.Abdel Razek, research fields are focused on head and neck imaging, neuroradiology and advanced magnetic resonance imaging techniques such as diffusion, perfusion, MR spectroscopy and contrast enhanced MR angiography. In addition, he has some work at multi detectors computed tomography and color Duplex ultrasound. His works, as lead author, published more than 75 papers at peer-reviewed high impact journals. He has written 4 book chapters and he presented more than 250 papers at national and international congress (RSNA, ECR, ASNR, ASHNR and ARRS). He is reviewer at 25 high impact journals and in the editorial board of 7 international journals and societies. He was supervisor on 70 PhD and MD thesis. He won scientific awards from RSNA and ECR during his career. He was moderator for head and neck course at 3 international conferences. Diffusion, Perfusion, MR spectroscopy, Contrast enhanced MR angiography. 1. Razek AA, El-Basyouni SR. Ultrasound of knee osteoarthritis: interobserver agreement and correlation with Western Ontario and McMaster Universities Osteoarthritis. Clin Rheumatol. 2015 Jun 20. DOI 10.1007/s10067-015-2990-2. 2. Razek AA, Lattif MA, Denewer A, Farouk O, Nada N. Assessment of axillary lymph nodes in patients with breast cancer with diffusion-weighted MR imaging in combination with routine and dynamic contrast MR imaging. Breast Cancer. 2015 Mar 13. PubMed PMID: 25763535. 4. Abdel Razek AA, Castillo M. MR imaging of midbrain hindbrain malformations. J Comput Assist Tomogr 2015 DOI: 10.1097/RCT.0000000000000311. 5. Abdel Razek AA, Ashmalla GA, Gaballa G, Nada N. Pilot study of Ultrasound Parotid Imaging Reporting and Data System (PIRADS): Inter-observer agreement. Eur J Radiol 2015 Dec;85(12):2533-2538. 6. 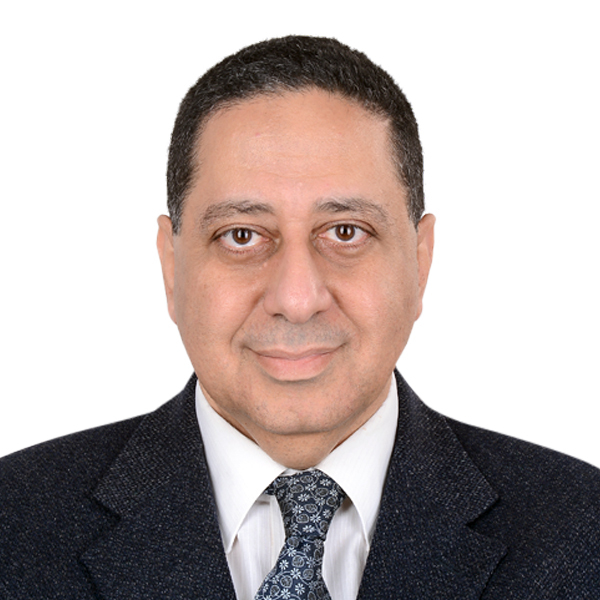 Abdel Razek AA, Gaballa MD G, Ashamalla G, Alashry MS, Nada N. Dynamic susceptibility contrast perfusion-weighted MR imaging and diffusion-weighted MR imaging in differentiating recurrent head and neck cancer from post-radiation changes. J Comput Assist Tomogr 2015 Nov-Dec;39(6):849-54. 7. Abdel Razek AA. Assessment of solid lesions of the temporal fossa with diffusion-weighted magnetic resonance imaging. Int J Oral Maxillofac Surg. 2015 Sep;44(9):1081-5. 8. Abdel Razek AA, Gaballa G, Elashry R, Elkhamary S. Diffusion-weighted MR imaging of mediastinal lymphadenopathy in children. Jpn J Radiol. 2015 Aug;33(8):449-54. 9. Razek AA, Massoud SM, Azziz MR, El-Bendary MM, Zalata K, Motawea EM. Prediction of esophageal varices in cirrhotic patients with apparent diffusion coefficient of the spleen. Abdom Imaging. 2015 Aug;40(6):1465-9. 10. Abdel Razek AA. Diagnostic Role of Magnetic Resonance Imaging in Obstructive Sleep Apnea Syndrome. J Comput Assist Tomogr. 2015 Jul-Aug;39(4):565-71. 11. Surov A, Nagata S, Razek AA, Tirumani SH, Wienke A, Kahn T. Comparison of ADC values in different malignancies of the skeletal musculature: a multicentric analysis. Skeletal Radiol. 2015 Jul;44(7):995-1000. 12. Razek AA, Ghonim MR, Ashraf B. Computed Tomography Staging of Middle Ear Cholesteatoma. Pol J Radiol. 2015 Jun 25;80:328-33. 13. Abdel Razek AA, Al Belasy F, Ahmed W, Haggag M. Assessment of articular disc displacement of temporomandibular joint with ultrasound. J Ultrasound. 2015 June;18(2):159-163. 14. Razek AA, Khashaba M, Abdalla A, Bayomy M, Barakat T. Apparent diffusion coefficient value of hepatic fibrosis and inflammation in children with chronic hepatitis. Radiol Med. 2014 Dec;119(12):903-9. 15. Razek AA, Abdalla A, Ezzat A, Megahed A, Barakat T. Minimal hepatic encephalopathy in children with liver cirrhosis: diffusion-weighted MR imaging and proton MR spectroscopy of the brain. Neuroradiology 2014 Oct;56(10):885-91. 16. Abdel Razek AA, Khairy M, Nada N. Diffusion-weighted MR Imaging in Thymic Epithelial Tumors: Correlation with World Health Organization Classification and Clinical Staging. Radiology 2014 Oct;273(1):268-75. 17. Razek AA. Vascular neurocutaneous disorders: neurospinal and craniofacial imaging findings. Jpn J Radiol. 2014 Sep;32(9):519-28. 18. Abdel Razek AA, Alvarez H, Bagg S, Refaat S, Castillo M. Imaging spectrum of CNS vasculitis. Radiographics. 2014 Jul-Aug;34(4):873-94. 19. Abdel Razek AA. Computed tomography and magnetic resonance imaging of maxillofacial lesions in renal osteodystrophy. J Craniofac Surg. 2014 Jul;25(4):1354-7. 20. Abdel Razek AA, Denewer AT, Hegazy MA, Hafez MT. Role of computed tomography angiography in the diagnosis of vascular stenosis in head and neck microvascular free flap reconstruction. Int J Oral Maxillofac Surg. 2014 Jul;43(7):811-5. 21. Tawfik AM, Razek AA, Elhawary G, Batouty NM. Effect of increasing the sampling interval to 2 seconds on the radiation dose and accuracy of CT perfusion of the head and neck. J Comput Assist Tomogr. 2014 May-Jun;38(3):469-73. 22. Abdel Razek AA. Computed tomography and magnetic resonance imaging of lesions at masticator space. Jpn J Radiol. 2014 Mar;32(3):123-37. 23. Razek AA, Tawfik AM, Elsorogy LG, Soliman NY. Perfusion CT of head and neck cancer. Eur J Radiol. 2014 Mar;83(3):537-44. 24. Tawfik AM, Razek AA, Kerl JM, Nour-Eldin NE, Bauer R, Vogl TJ. Comparison of dual-energy CT-derived iodine content and iodine overlay of normal, inflammatory and metastatic squamous cell carcinoma cervical lymph nodes. Eur Radiol. 2014 Mar;24(3):574-80. 25. Sepahdari AR, Politi LS, Aakalu VK, Kim HJ, Razek AA. Diffusion-weighted imaging of orbital masses: multi-institutional data support a 2-ADC threshold model to categorize lesions as benign, malignant, or indeterminate. AJNR Am J Neuroradiol. 2014 Jan;35(1):170-5.